Fireflies and Jellybeans: Funky Joy Etsy Shop Grand Opening and Giveaway! I tried to resist, but Etsy sucked me in! I opened my own Etsy shop called Funky Joy. I am selling reusable snack bags, lunch bags and car trash bags. 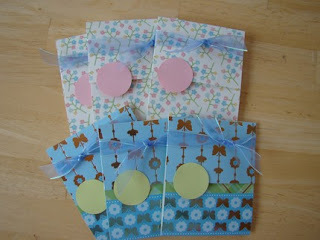 I will also be featuring other crafty things that I come up with from time-to-time. Right now, I am also featuring homemade blank card sets. Do you have a little boy or girl that needs to bring a snack everyday to school? These snack bags are perfect and so cute! Go to lunch in style! 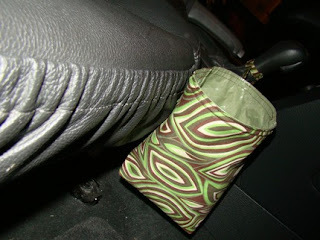 Here is my car trash bag which could also be used as a craft scrap bag! These bags are the answer to all the little trash scraps that make your car all messy (and they are so adorable too)! Send your family a homemade card... I wont tell that you didn't make them! 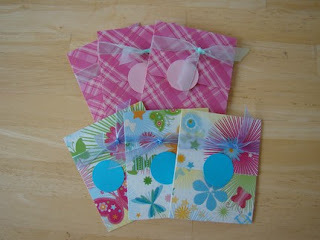 In order to introduce you to my shop I am giving away some snack bags. TWO people will get thier choice of 1 snack bag. 1.) Mandatory: Go to Funky Joy and leave a comment telling me your favorite item. 2.) Become a follower of Fireflies and Jellybeans (if you are one, it counts too)- leave a comment saying "I'm a follower"
3.) Mark my shop as your favorite -Leave a comment saying "I heart your shop"
4.) Make a purchase (earns 5 entries)- Leave 5 comments saying "I made a purchase! I got >ENTER ITEM<"
5.) Blog about this giveaway (earn 3 entries) -Leave 3 comments saying "I blogged about this giveaway here >ENTER URL<"
You have until Friday (9/18/09) midnight (Central Time) to enter. I will use a random number generator to pick a winner and announce it Saturday! ALSO, to celebrate my grand opening I am offering a free set of 3 blank cards to the first 5 buyers! my daughter needs a new snack bag...the one she is using had to have a little hot-glue repair over the weekend! I love the black swirl car trash bag! Great giveaway - your shop looks great! 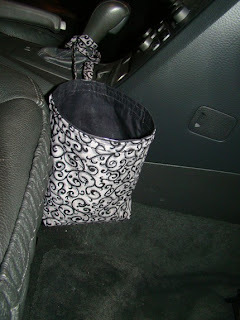 I would love the black and silver swirl car trash bag!! What a great idea... my car gets so messy! I like the blue leaves snack bag! It'd be for my daughter...she starts preschool in a speech and language classromm next month! I just adore the black swirl trash bag! I made a purchase! I got the black swirl trash bag! Yeah!! I wouldn't mind having a few of your lunch bags for our family! But, I absolutely love the brown leaf car trash bag! I am now a follower - waited too long to do this, but this giveaway is TOO cool to pass up! I love the items in your shop, especially the Reusable Lunch Bage - Brown Flower. It's so pretty! Thanks for hosting. I love the green car trash bag. 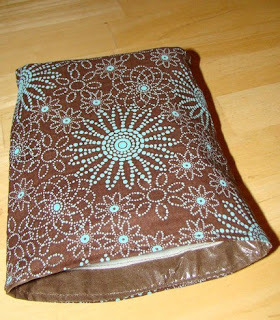 I love the "Brown Flower" car trash bag....adorable! I heart your shop and your site! Love your snack bags. What a cleaver idea and great way to stay green. love the orange polka-dot snack bag! I like the dino and the truck snack bags. I have two bags, so if I happened to win, I would have to buy another one just so my boys wouldn't fight over them. I heart your shop. I saved you as a favorite. My id is ragamuffin express.